The brides who chose a red wedding dress, it is much harder to choose a veil, than the girls who bought the dress traditional colors. But what veil is best suited to the red wedding dress? Suggest you look at several color options and choose the one that most you like. 1. 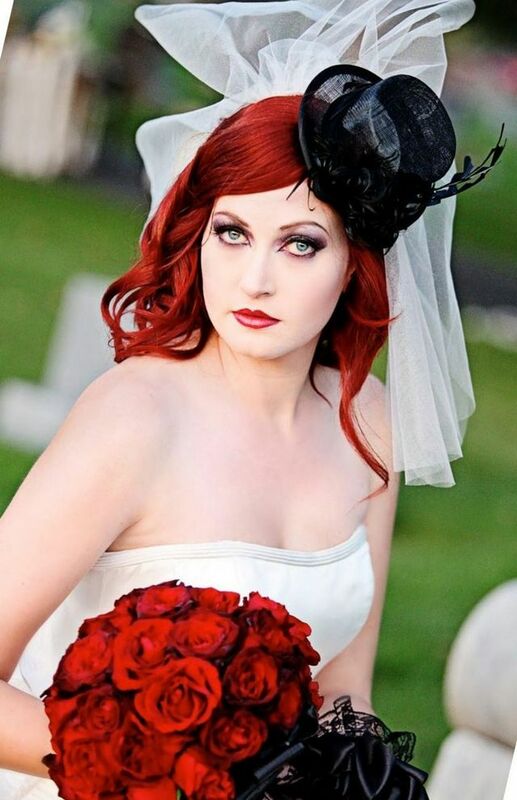 Red wedding veil. 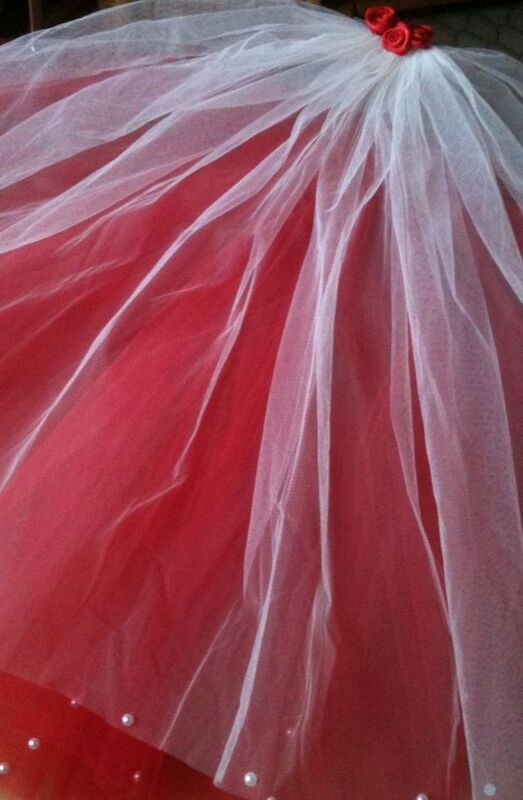 This is the most popular color of wedding veils for red wedding dresses. 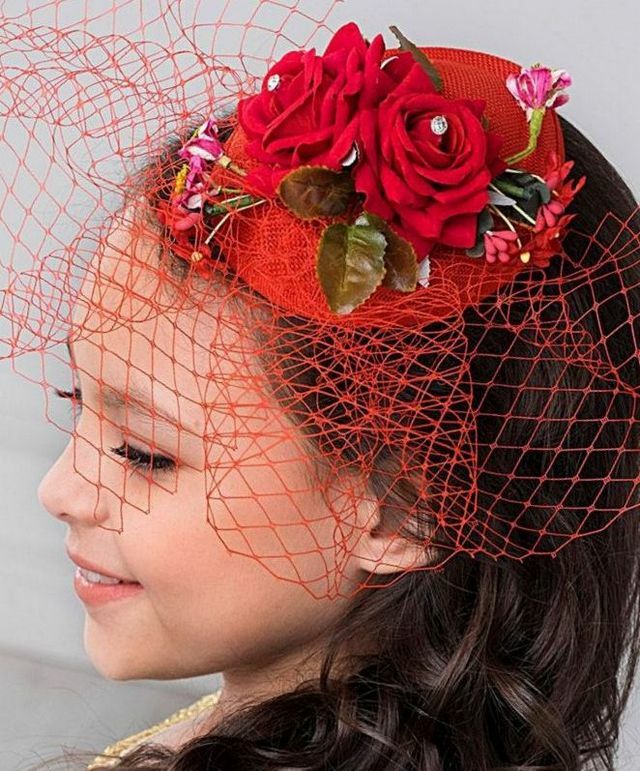 But, when choosing a veil, remember that shades of red a lot, and need the perfect veil to match the color of your attire. 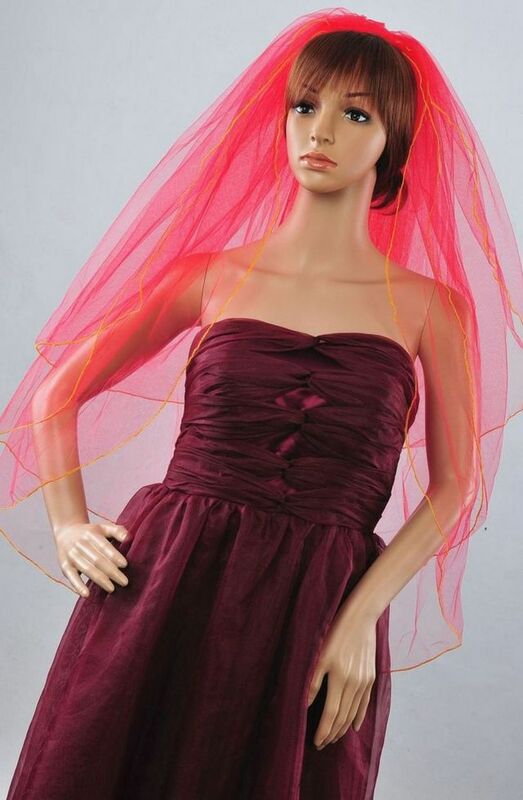 So when buying be sure to wear both the dress and veil to see whether they match each other or not. 2. White Bridal veil. 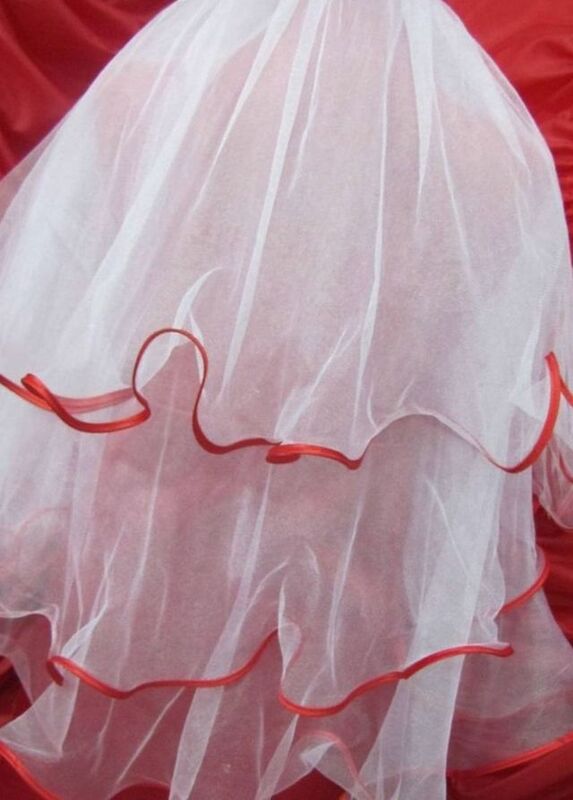 Despite the strong contrast,white the color very nicely complements the wedding dress of red color. But this veil must be combined with some accessory or detail in the bride’s attire. This can be a white wedding bouquet decoration white, wedding shoes or the dress should be white finish ( by the way, the white veil is perfect for white-red wedding dress). 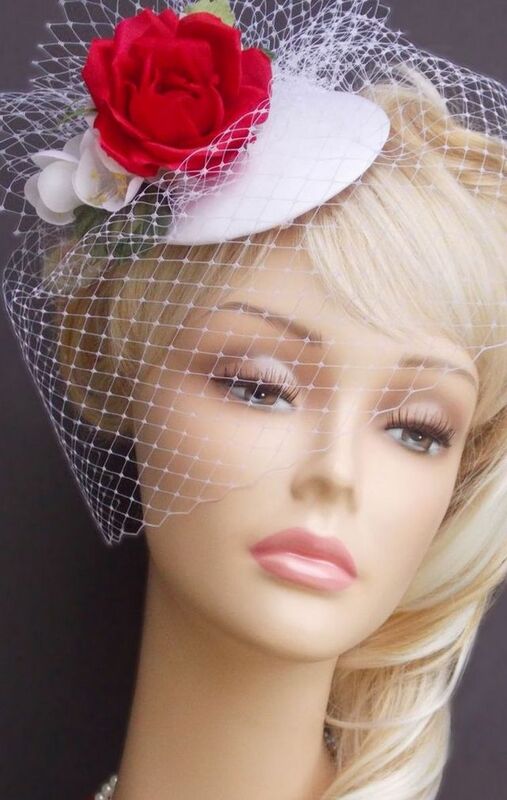 You can also order in the cabin veil trimmed with the same material from which made your outfit. 3. Black wedding veil. 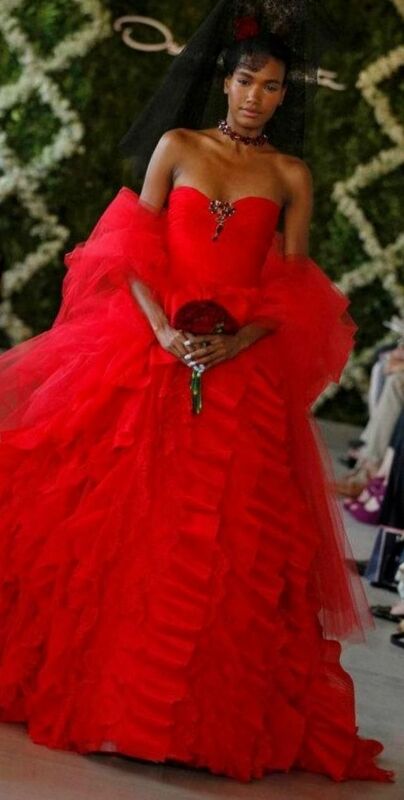 The combination of red and black will look chic, but not every bride will want to choose this way, because for many it is associated with mourning. 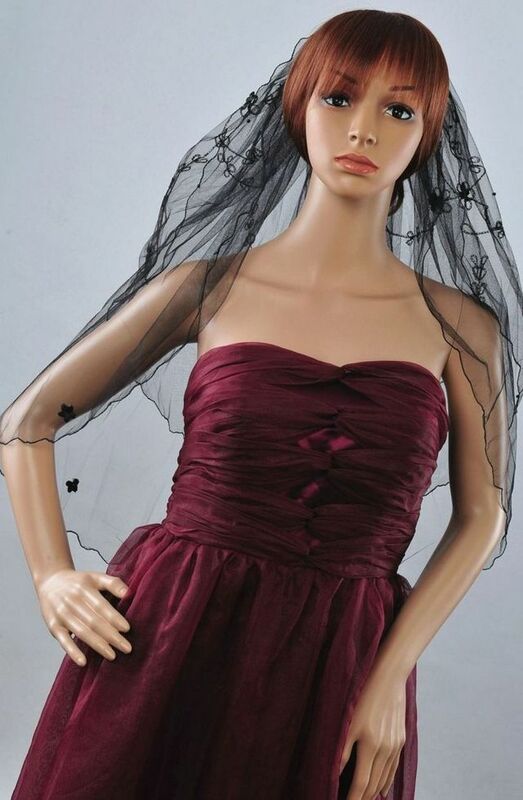 If you have a Gothic wedding dress is red, of course, the black veil is a perfect complement to it. Black veil suit also if you have black accessories or you would prefer a red and black wedding dress. 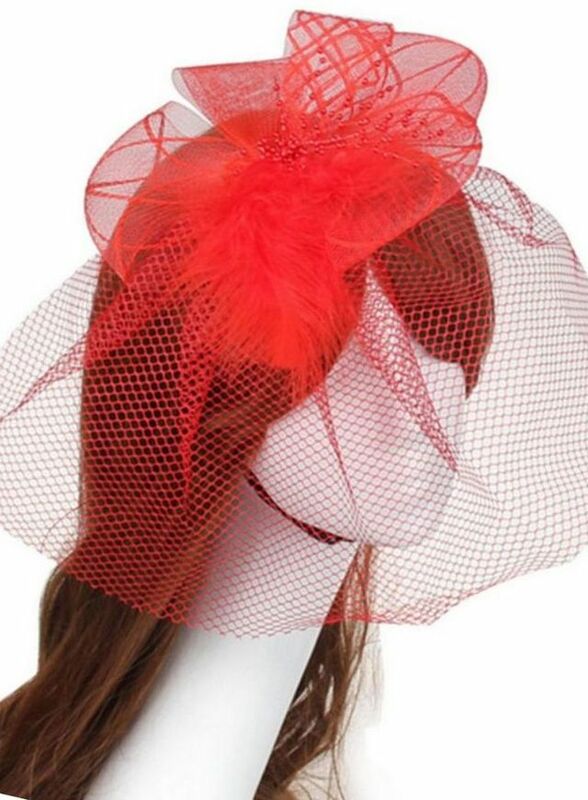 Bridal veils for red wedding dresses can be replaced with a veil or hat, but the requirements for their color design will remain the same. If you are unable to choose the veil or find one that is perfect for you, then you can replace it with other ornaments for the head. It can be a flower in her hair, wedding headband or tiara. Select the option in which you will feel a real Princess!